A Basic Set Of Trainers For Multiple Trainees. 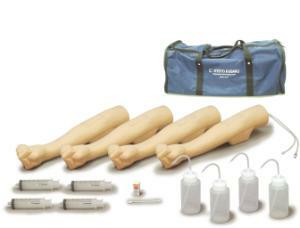 This package of four Intravenous arms is realistic with fine details, inexpensive, durable and perfect for large number of trainees to practice the skills required in their courses. Lightweight and portable, the product is easy to set up so that each trainee can have their own arm to practice.